100% Natural.Zero Stain, Natural aroma. Non toxic water based formula. Chases by Odour and Taste. Children, elderly and pet safe. Pest Rid Naturals uses a natural product which is highly effective on the Lizards and spider and most of all 100% safe for humans. 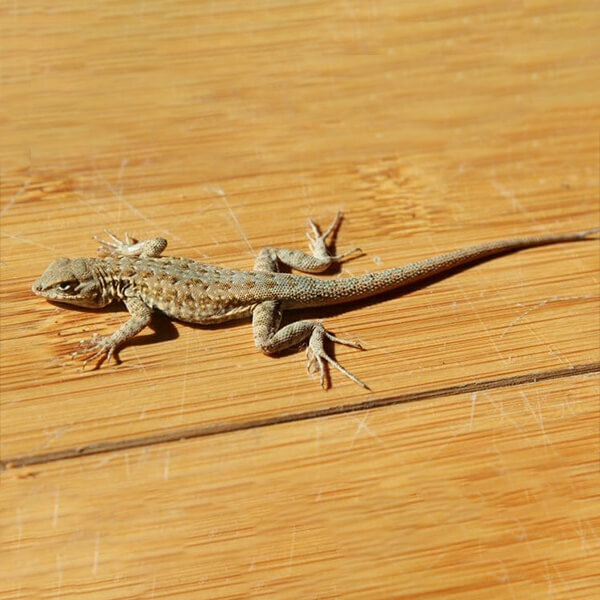 An effective proven product Pest Rid Naturals have introduced LIZ-RID a ready to spray product which chases away lizards by odour and taste. It can be used efficiently by everyone as it is totally natural, handy and cost effective. Lizards are opportunistic. Many lizard species are capable of shedding part of their tails; this is employed by lizards to allow them to escape when captured by the tail by a predator. The detached tail writhes and wiggles, creating a deceptive sense of continued struggle, distracting the predator’s attention from the fleeing prey animals. Gardens, ponds and streams allow populations to prosper. Sprinkler systems will deliver enough water to keep any lizard happy and this leads to many taking up residence along outside foundation walls.